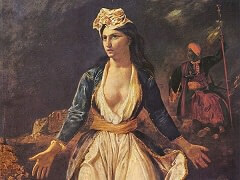 The number of major paintings that derive from Delacroix's Moroccan notes and sketchbooks is clear proof of the impact of the experience. 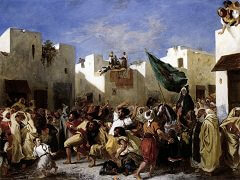 They include the Jewish Wedding in Morocco, The Fanatics of Tangier and The Sultan of Morocco and his Entourage. 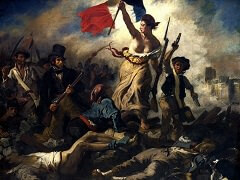 In the composition of these works, Delacroix scrupulously observed the notes and sketches that he had made in situ. 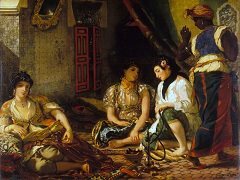 Thus the decor of the Jewish Wedding in Morocco exactly matches that recorded in a watercolour in the notebook, while his notes give an exact description of the painting that was to come. 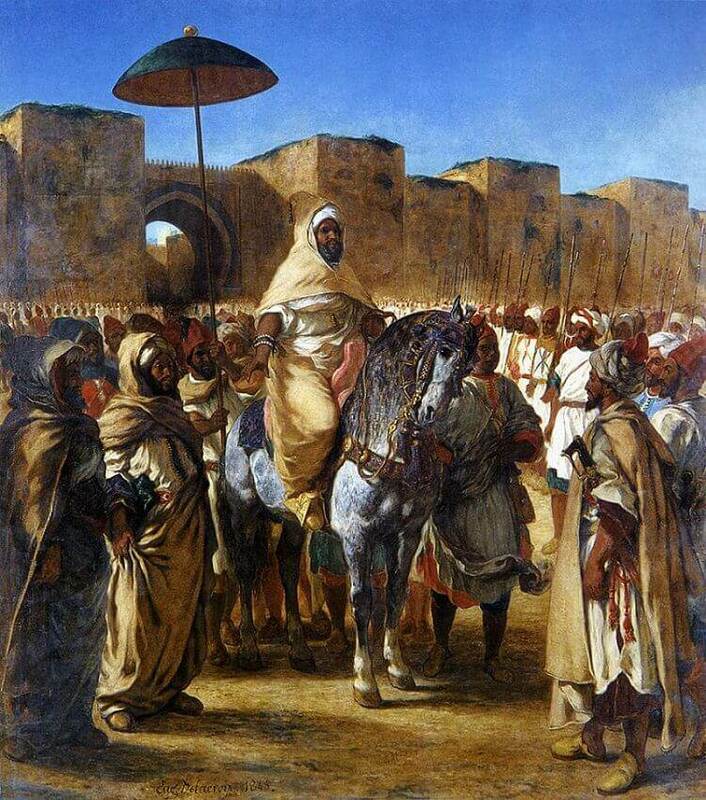 The Sultan of Morocco and his Entourage was intended to immortalise the Comte de Mornay's diplomatic mission, his successful meeting with the Sultan. 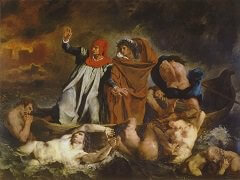 In fact, Delacroix scorned the opportunity to commemorate an event doomed to oblivion. 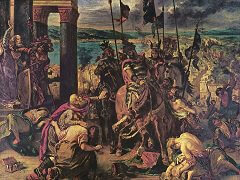 Instead, he concentrated on creating a spectacular open-air scene in bright light, with vivid colours and monumental protagonists. Exemplifying his orientalising vein, it also exhibits the full wealth of his technical mastery.